The recent release of Luke Cage may have crystallized how out of touch Marvel’s Defenders series feel with the current MCU film slate, a problem not likely to get better with Doctor Strange splitting New York into multiple dimensions. Timing makes it difficult to write any of the four Netflix stars into the films, but with Infinity War on the horizon, new comments from Kevin Feige again dash our hopes. I think it’s extremely impressive what Netflix has done and it will be the same answer I always give, which is, “It all depends on timing.” It all depends on how to do it because I don’t think what anybody wants to do is have such important characters show up for one second. Black Panther and Spider-Man to me are the high bar in Civil War of how you can bring in new characters into something. Vision and Ultron, Wanda and Pietro in Ultron. And it takes a lot of screentime, and it takes a lot of work. Infinity War has a lot of people in it already. So it just depends on how we could figure it out. Timing is certainly the most prevalent factor, what with Infinity War due before cameras in the next few months, while The Defenders gear up for their own team-up production, to say nothing of additional series beyond. It’s at least worth pressing why neither films nor Netflix series leave room in post for the odd background reference, as it wouldn’t seem terribly difficult for newspapers or monitors to reflect a few shared events. For their part, the Netflix series seem unwilling to address anything beyond Marvel’s first phase of films, while Luke Cage curiously never once referenced the Harlem rampage climax of 2008's The Incredible Hulk. 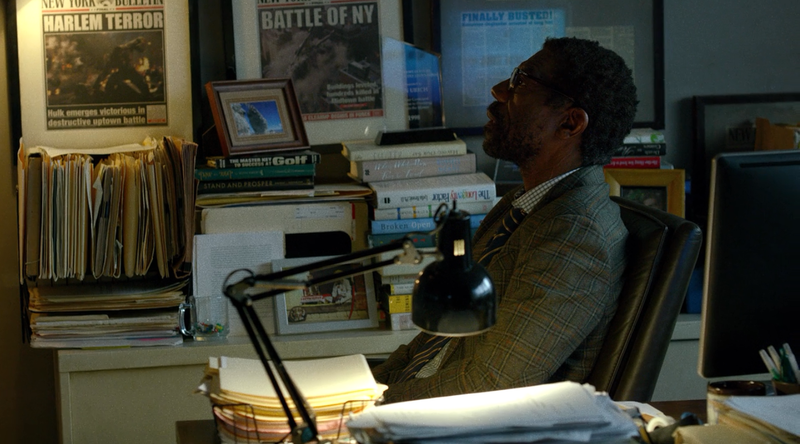 Even Daredevil found space to include the MCU’s earliest misstep as a background detail of Ben Urich’s office. Us Marvel TV fans will continually dream of of having the films pay back so many references, but are The Defenders destined to remain on their own?